Four cameras and an in-display fingerprint sensor make the P30 Pro tough to beat. After a short run alone at the top of the Android heap, Samsung’s Galaxy S10 has some serious competition. Huawei unveiled its latest flagship P30 and P30 Pro today, and they’re packed with some of the best specs we’ve ever seen in an Android phone. Aside from the lenses, however, Huawei has fine-tuned the processing behind the P30 cameras to provide even greater abilities, particularly with the P30 Pro. The new periscope telephoto camera offers 10x hybrid zoom and up to 50x digital zoom. A new RYYB color sensing rule allows more light for better nighttime shots. And the TOF camera allows for fine-tuning of portrait shots and professional long-exposure pictures at the touch of a button. The Huawei P30 Pro has a quad camera system with a time-of-flight sensor. 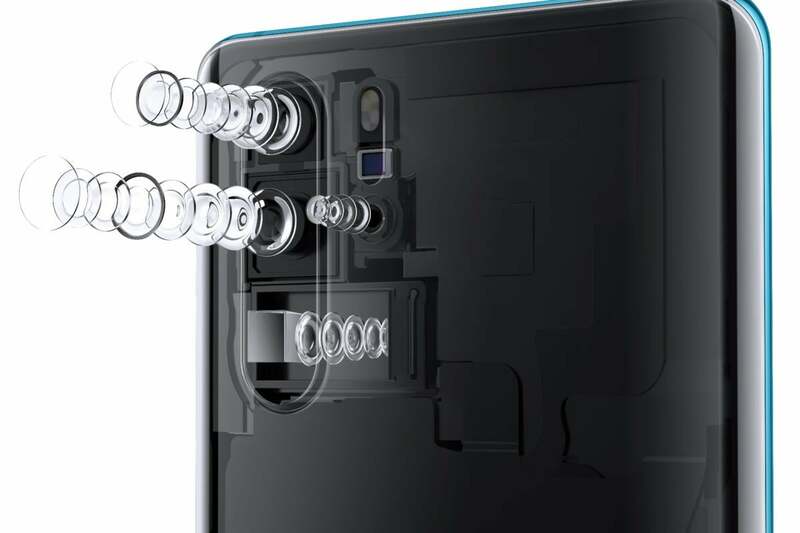 Even with the addition of extra cameras, the P30 retains the sleek look of the P20, with an iPhone X-like vertical camera array in the top-left corner. The glass back comes in an array of gradient colors inspired by “the miraculous sky,” giving the handset a unique look that changes depending on the light you’re in. Particularly striking are the new “Amber Sunrise” that mimics a fiery daybreak, and “Aurora,” which conjures images of the Northern Lights. While the P30 Pro’s curved edges are easier on the eyes than the P30’s visible bezels, both displays are the same resolution this time. That means the P30 Pro gets a downgrade from the Quad HD 1440p screen on the P20. That’s not likely to make much of a difference to most eyes, but pixel purists will surely notice the change. Both phones also have a tiny notch for the 32MB front camera, meaning you won’t get Huawei’s 3D Face unlock here. 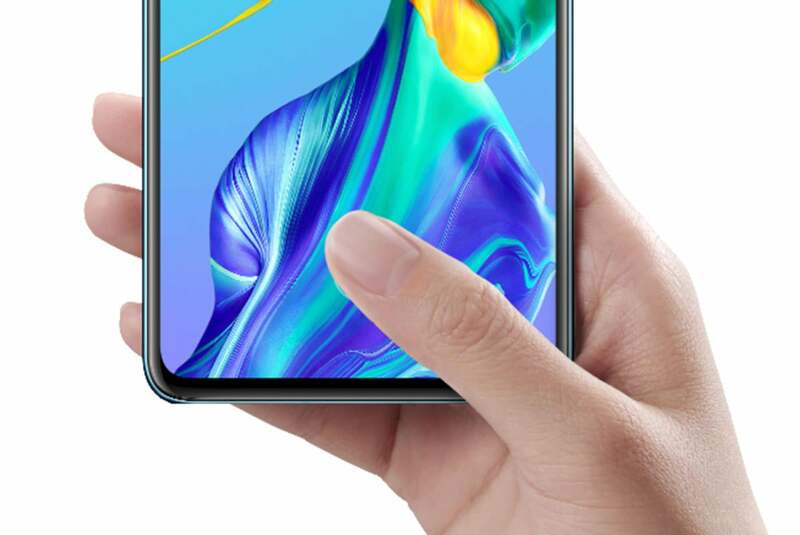 Like the S10, both phones have an in-display fingerprint sensor, though Huawei opted for an optical scanner rather than the ultrasonic one on Samsung’s phones. We’ve had our issues with in-display scanners, but it’s a nice visual upgrade over the stale front-facing sensors on the P20 at any rate. 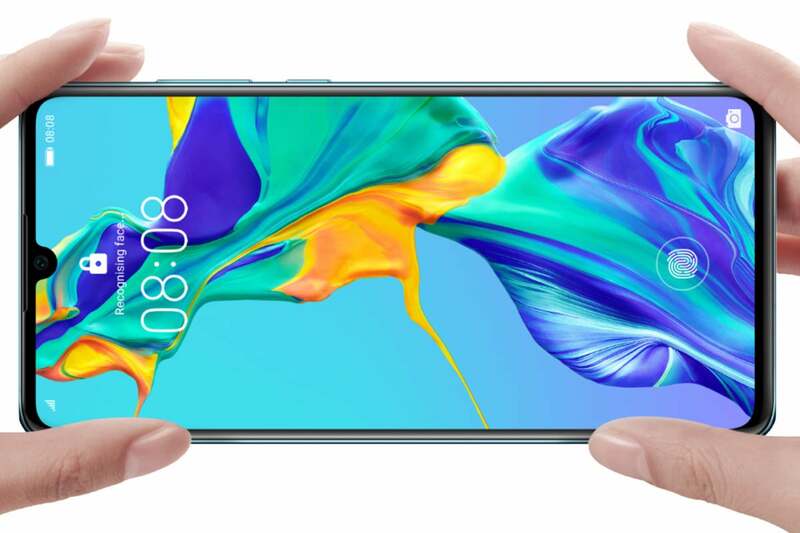 The P30 finally dispenses with the front-facing fingerprint scanner for an in-display sensor. Elsewhere, you get IP68 water resistance on the P30 Pro, while the P30 only has IP53 ingress protection, so you can’t dunk it. The P30 is also missing wireless charging, while the P30 Pro supports 15W fast wireless charging as well as 40W wired charging. However, one advantage the P30 does have over the P30 Pro is a 3.5mm headphone jack. Huawei will not be making a version of the P30 or P30 Pro for the U.S., so your mileage will vary when it comes to carriers. It’s available today in a number of options starting at 799 Euros for the P30 and 999 Euros for the P30 Pro.